Connecticut Preservation Action (CPA) will be holding “Connecticut Preservation Now: Changes and Opportunities in Funding”, its 2015 Connecticut Preservation Action Conference, on Friday, 13 November 2015, 9:30 AM to 2:00 PM, at the Barnum Museum, 820 Main Street, Bridgeport, Connecticut. The conference will focus on changes and new opportunities for grant funding from the state of Connecticut, and is primarily of interest to nonprofit organizations, municipalities, and associated professionals: historic building owners, preservation organizations, restorationists, municipal planners, architects, and others who may have been impacted by recent state budget cuts to Community Investment Act (CIA) funding. The program includes speakers from the State Historic Preservation Office (SHPO) and the Connecticut Trust for Historic Preservation. Panel discussions and success stories from prior funding recipients will also be presented. A hard-hat walking tour of current restoration and stabilization work on the Romanesque Barnum Museum is also planned following conclusion of the afternoon session. 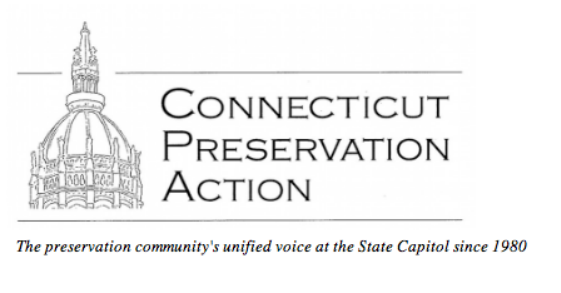 For more information, or to register online, visit CPA’s 2015 Connecticut Preservation Action Conference website. You may also download both the CPA press release and CPA conference flyer. Note that registration materials must be received by CPA by Friday, 6 November 2015. PLEASE NOTE THE REGISTRATION DEADLINE HAS BEEN EXTENDED UNTIL WEDNESDAY, NOVEMBER 11th, 2015!